What Are Rexon Transformer Oil Treatment Equipment Features? 1. Rexon Transformer Oil Treatment Equipment takes advance oil filtration technology with upgrade filtering materials, filter element, which can help you purify your transformer oil much higher efficient. 2. Rexon Transformer Oil Treatment Equipment uses high efficient vacuum dehydration technology to process transformer oil and which can supply a super fast vacuum oil dehydration and degassing capacity. Besides, we offer two types of vacuum chamber design based on different customer’s different requirements. Traditional vertical vacuum tank design and new type “T” shape vertical and horizontal design vacuum chamber are now all available to choose. 3. 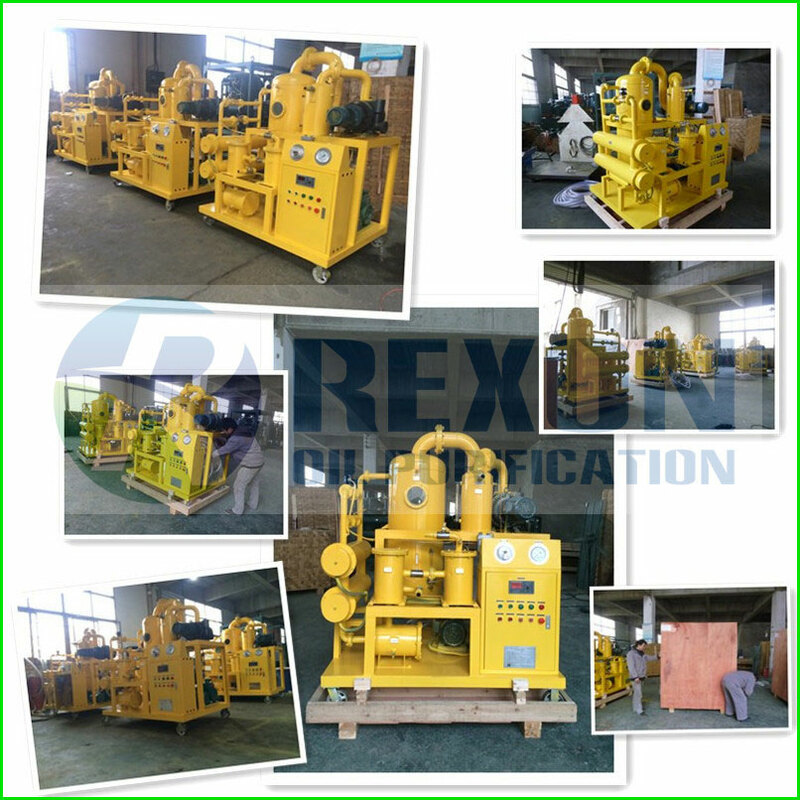 Rexon Transformer Oil Treatment Equipment adopt original “O” type sealing and gasket materials, which can offer a stable and reliable 100% good air tightness. That has big effect to vacuum system. 4. Rexon Transformer Oil Treatment Equipment takes all high quality components for building to offer a high efficient and great oil purification performance. 5. Rexon Transformer Oil Treatment Equipment uses logical and reasonable design for the machine structure. Electrical operating cabinet, filter tanks, vacuum chamber, oil pump, vacuum system, everything is in good arrangement, so customers can learn this machine fast and easy operation.